Is This The Ultimate Girls' Getaway Experience in New Caledonia? 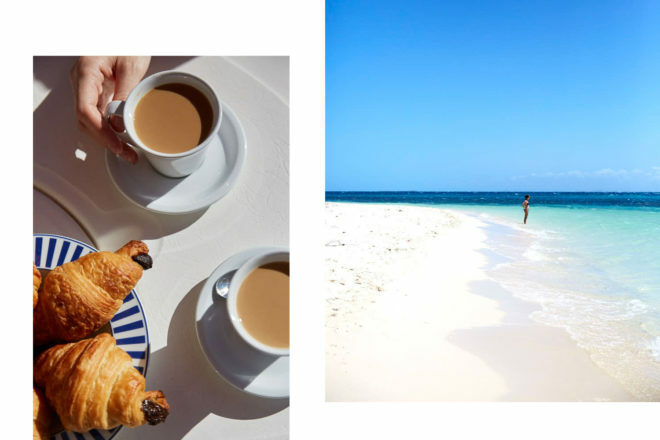 Is New Caledonia the ultimate girls' getaway destination? For dessert, la surprise façon Snickers. 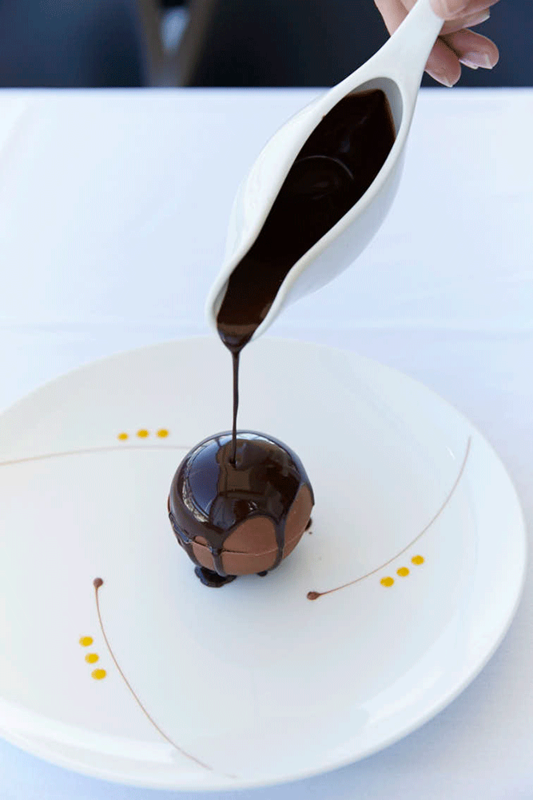 You’ll have fun pouring warm chocolate sauce over the domed confection and seeing it melt into an indulgent puddle atop chocolate ice cream, caramel and dark chocolate mousse. Le Bintz at the nearby Port du Sud Marina. Regarded around town as “la bonne table”, it offers French-influenced cuisine with a focus on local ingredients. A water view of Le Bintz. Fresh produce can be found at Port Moselle Market Noumean Market. Promenade Pierre Vernier is a popular track for the active. 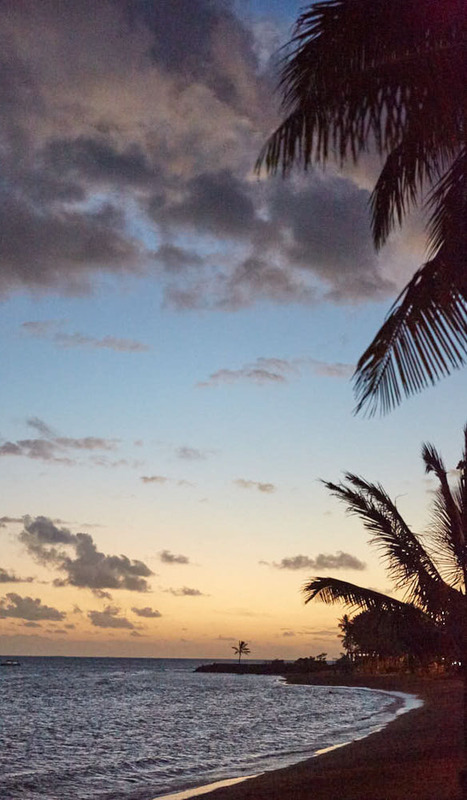 You could visit Amedee Island, with its historic lighthouse and many aquatic activities, or perhaps sail to the farther-flung islets Signal and La Régnière. The afternoon sunset on the shores of Baie des Citrons. 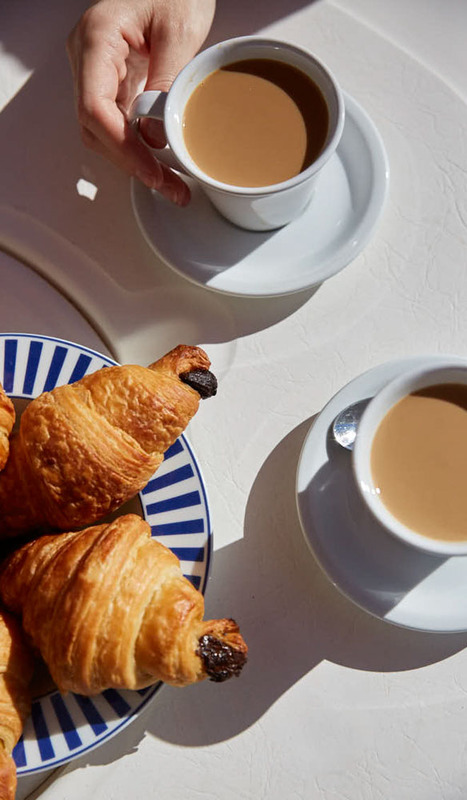 Enjoy chocolate croissants and coffee for breakfast and then swan around the deck or sunbathe up-front while the quietly charming captain Cyrille Cottica steers across the impossibly blue Pacific. Aventure Marine offers everything from full-day excursions to week-long jaunts taking in myriad beauty spots around the coast. 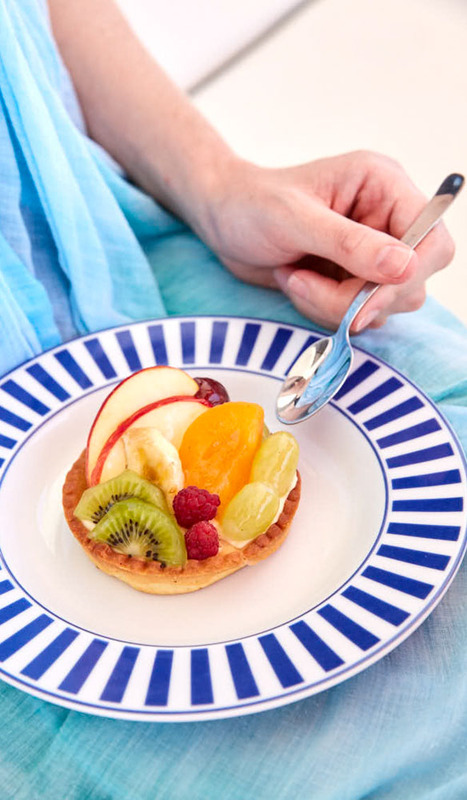 A light lunch is served on-deck: think tuna carpaccio with zesty salad, and a glazed fruit tart for dessert. 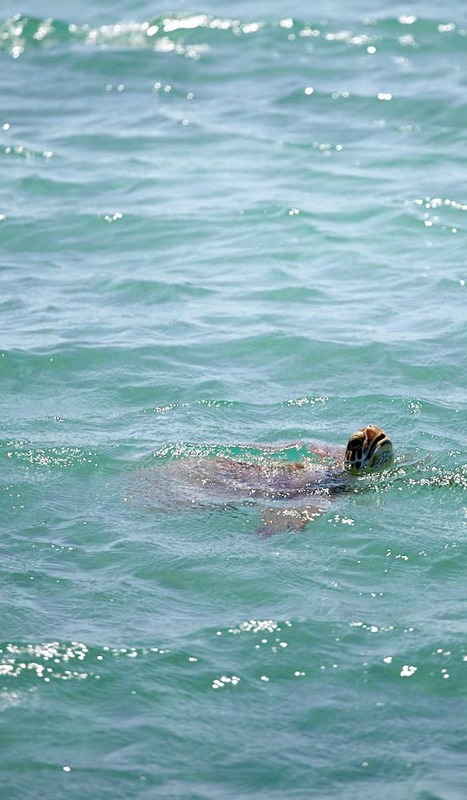 Find yourself swimming among graceful green turtles and placid reef sharks. With the capital Noumea as your base, you and your crew can spend three delightful days eating, drinking and exploring this welcoming Melanesian playground. Here’s how to go about it. Writes Marnie Clarke. New Caledonians love the water, and nowhere is this more evident than in Noumea. Tucked on a peninsula in the south-east of the mainland, Grand Terre, the relaxed and leafy city is characterised by its eclectic mix of architecture spilling down hillsides towards the Pacific. The marinas are packed with impressive sailboats and behind them you’ll find the largest lagoon in the world. On fine days many people head out onto the ocean; you can see scores of kitesurfers skimming across the bays, their bright kites punctuating the sky. Nestled between the 128-metre peak Ouen-Toro and Anse Vata bay, the Château Royal Beach Resort & Spa offers superior accommodation in spectacular surrounds. 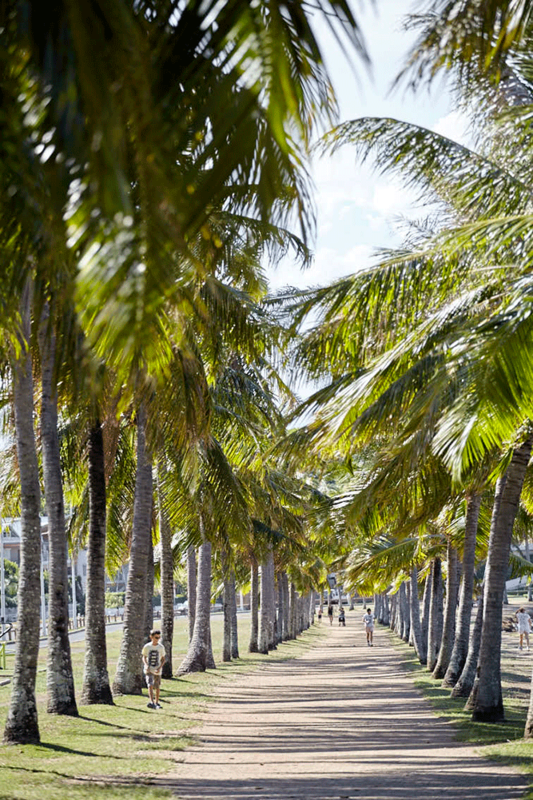 It’s the ideal location: the beach is Noumea’s finest, and quality restaurants and nightspots are laid on. On your first day, rise early and take a quick bus ride across town to mingle with the locals at Port Moselle Market, which opens at 5am (closed Mondays). Make sure you fill your belly, too. 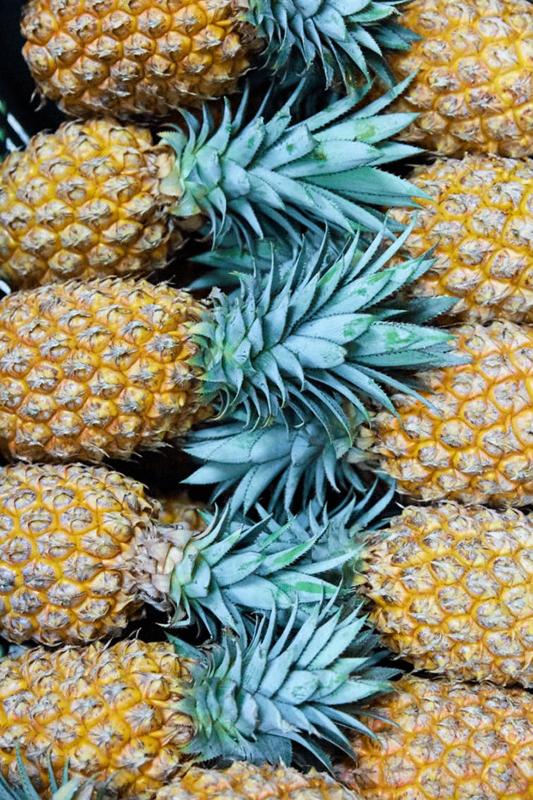 Pick up a short black and a crepe or flaky pastry to enjoy while you wander through its bustling produce pavilion, where you’ll find surfaces heaped with intriguing green oranges (yes, they’re ripe), rotund avocados, juicy pineapples and huge papayas. There are also bountiful flowers and, in the seafood building, row upon gleaming row of the morning’s catch. With souvenirs and crafts to browse and live string music on the weekends, this is the place to be. Afterwards, stroll over to the Musée de Nouvelle Calédonie for a fascinating insight into the history and culture of the indigenous Kanaks and other Pacific peoples. The intimate two-storey museum houses traditional costumes and jewellery, watercraft, fishing equipment and tools as well as the most remarkable collection of Kanak sculpture in the world. 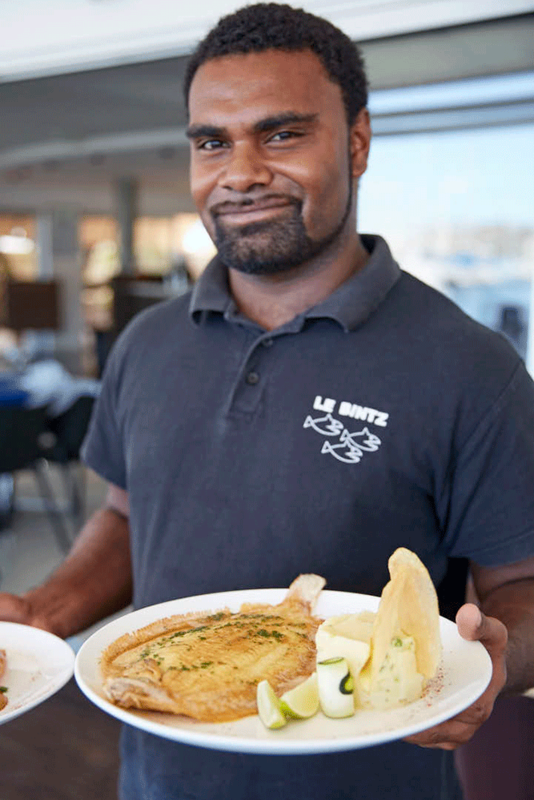 For lunch, head to upmarket yet relaxed harbourside restaurant Le Bintz at the nearby Port du Sud Marina. Regarded around town as “la bonne table”, it offers French-influenced cuisine with a focus on local ingredients. 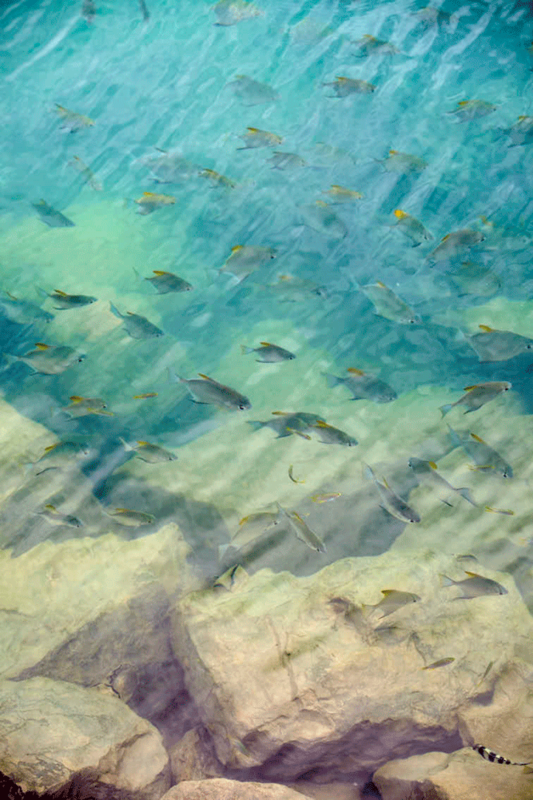 Dine outside so you can watch schools of vibrant tropical fish dart past in the clear water below. Delicacies include New Caledonian beef tartare, silky tuna sashimi and delicious buttery sole grilled in the French style. For dessert, la surprise façon Snickers is a sophisticated take on a theme well-loved in these parts. You’ll have fun pouring warm chocolate sauce over the domed confection and seeing it melt into an indulgent puddle atop chocolate ice cream, caramel and dark chocolate mousse. It’s even more fun to eat but incredibly rich, so it’s perfect for sharing. That afternoon, take a dip at Anse Vata or the picturesque Baie des Citrons or, alternatively, in the 300-square-metre heated pool at your hotel’s renowned Aqua Royal Spa. To combine relaxation with rejuvenation consider a Marine Wave treatment ($201) comprising a salt scrub, algae body wrap and manual affusion shower (be sure to book treatments well in advance). At this point the party moves from spa to bar. Nouméens love to watch the sunset, drinks in hand, so migrate to MV Lounge at Baie des Citrons where you can raise a glass to friendship from seating right on the sand. You’ll find ample dinner and nightlife options along the strip, too. Located 90 minutes’ drive north-east of Noumea, the splendid Parc Provincial de la Riviere Bleue offers active experiences set in 9000 stunning hectares of nature reserve. Château Royal can organise a full-day guided tour including transport from Noumea, park entry and a barbecue lunch with deer kebabs and French wine ($177 per person), or you can plan your own DIY adventure. First stop off at Anse Vata’s L’Atelier Gourmand for delicious breakfast pastries and ham baguettes for a picnic lunch. When you reach the park, activities abound. Look for New Caledonia’s native cagou bird on a bushwalk, take to the mountain bike trails or hire a kayak from Aventure Pulsion and paddle along the river and through the captivating drowned forest. A swim in a waterfall is a lovely way to finish the day; the water here is so clear, you can even snorkel. When you’re back in Noumea, head out for an evening meal of authentic Caledonian cuisine at L’Assiette du Cagou (+687 78 45 01) in the historic Quartier Latin. It’s small and popular, so bookings are essential. Expect simple but flavoursome seafood and mixed grills accompanied by coconut rice and local vegetables. Waitstaff can help you navigate the menu, which is in French. The nearby Art Cafe beckons for after-dinner cocktails and live acoustic music. 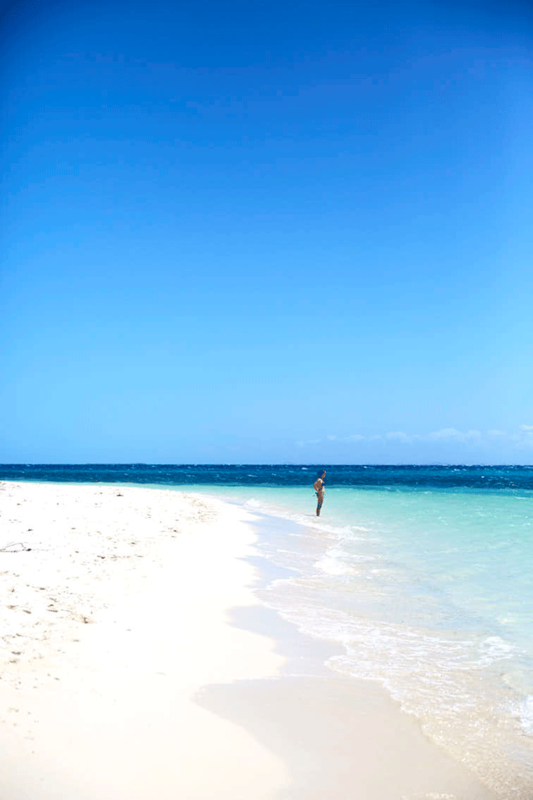 A New Caledonian getaway isn’t complete without a visit to a little island. Happily, there are several close to Noumea and they’re easily accessible via taxi boat or ferry transfer. 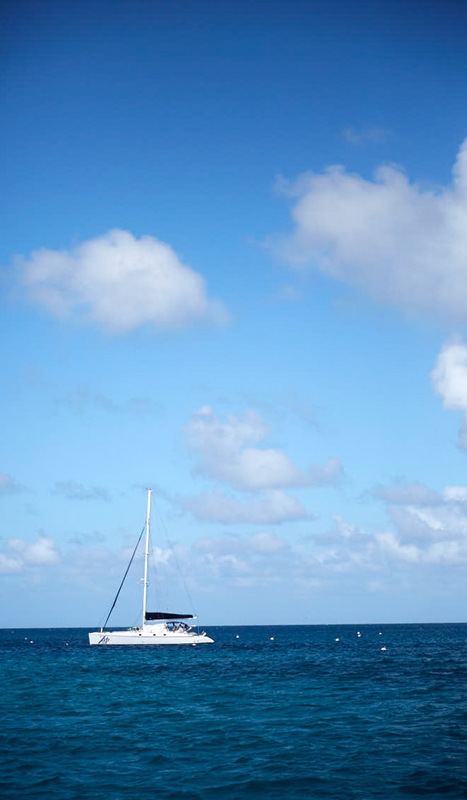 For a proper last hurrah, though, it’s worth splashing out on a catamaran journey. Safely installed on the 13-metre Persée, your glossy posse can enjoy chocolate croissants and coffee for breakfast and then swan around the deck or sunbathe up-front while the quietly charming captain Cyrille Cottica steers across the impossibly blue Pacific. Either way, Cyrille will be on hand to give you a guided tour. Don’t be shocked if he finds a striped sea snake curled up in a hole on the beach and gently nudges it so you can better see its head (they’re harmless, he says). The sheer beauty of these islands cannot be overstated; they are among New Caledonia’s many iterations of paradise. The sand is white powder, the sea is dazzling and, high above, white egrets beat their wings against the stiff breeze. The snorkelling, too, is phenomenal. As well as adorable fish and eye-catching coral, you can easily find yourself swimming among graceful green turtles and placid reef sharks. On the way home you’ll have a full belly and sleepy limbs, so dozing is highly recommended. Also it has great deer-hunting. You will find that the more expensive resorts align with what we expect in Australia; it is no cheap Bali experience.